Every gemstone in the world holds its own unique beauty, rarity, and identity. Gem identification is a process of observing and testing a gemstones chemical properties and characteristic structure. This process requires gemological procedures and a well trained eye. 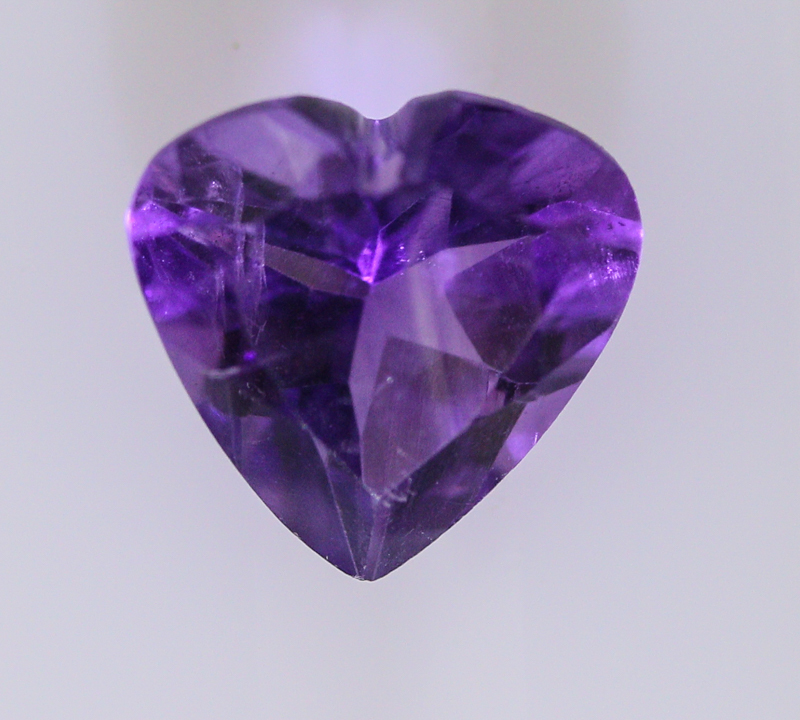 There are many cases in which identifying a gemstone is a very important task in order to avoid financial loss and in order to hold a superior reputation. If you are a buyer or a seller of gemstones you need to be able to accurately assess the value of the product and determine if they are genuine or synthetic stones. 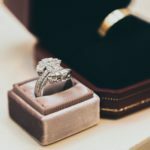 Appraisals for insurance value and trade in value are required to disclose treatments and enhancements, and in order to provide this information you will have to be able to identify the stone first and its treatments. General Observation along with the aide of magnification is the first step to take in identifying a gemstone, followed by instrumental testing which requires the use of tools such as the refractometer. General observation is the first key step in the gemstone id process. By using the unaided eye and 10 power magnification to determine the visible characteristics you are able to take a large step in the right direction of identifying the stone. There are several steps in this process that will dramatically narrow your possibilities; some of the most helpful steps are finding the stones Tone, Hue, and Transparency and if it displays a Phenomena. 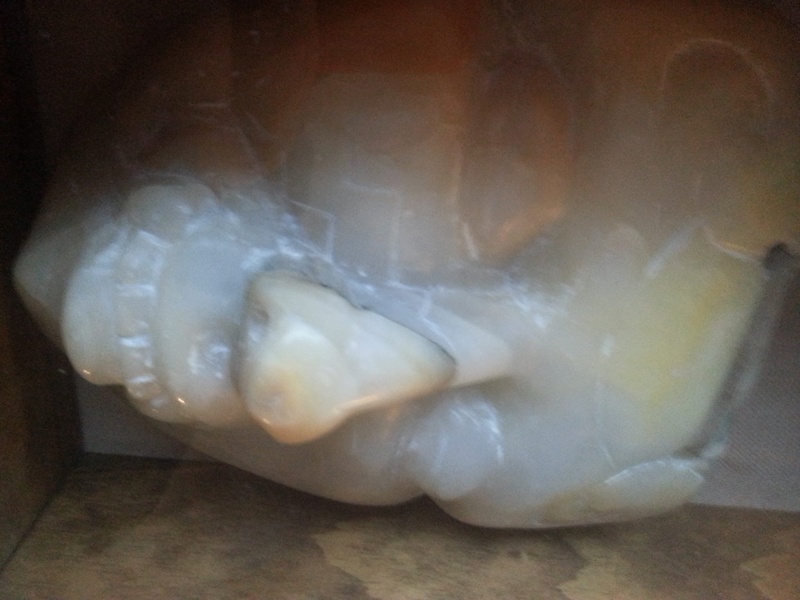 In order to successfully visually analyze a stone start by using a neutral colored background, a properly lighted environment, and consistency in your procedure. There are a few tools that will aide in this particular process, a gemstone cloth, incandescent light source, ultra violet light source, daylight equivalent lighting, a 10 power loupe, and tweezers will be needed. Although the general observation process is very helpful it will not complete the identification of a stone, you will also need to perform and analyze instrumental testing with the use of gemology tools. Make sure to record your test results along the way, when you have finished you will need to evaluate your results and search out the possible gemstones that would be applicable. Color: A stone needs to be examined in 3 directions, face up so the top known as the table is facing you, face down so that the bottom known as the pavilion and culet is facing you, and a profile view where you will see the side of the stone where the girdle is visible. Examine the stone to determine what color hue it is and to determine the tone level ranging from very light to very dark. 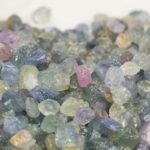 Color charts displaying the range of hues found in colored gemstones are helpful aides to use when determining the correct hue seen in a stone. Transparency: Gems transparency range from opaque to transparent. 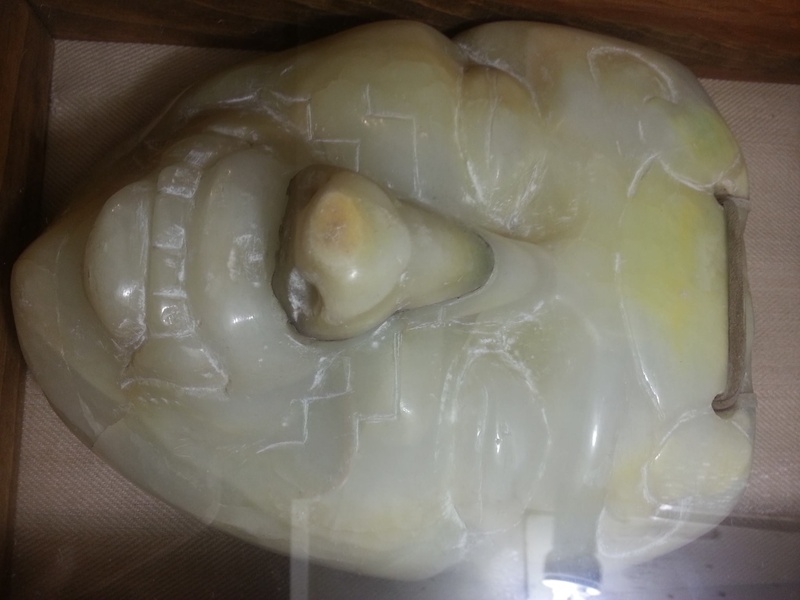 Opaque describes where a stone is unable to transmit any light through it. Transparent describes a stones transparency being able to transmit light so that objects viewed through the stone are sharp and visible. Cut: Cut style of a stone can be a small indicator of the possibilities of its identity, due to the fact that certain stones tend to be cut in particular styles. Some of the more common cut styles you will see include faceted, cabochon, cameo, bead, and tumbled. 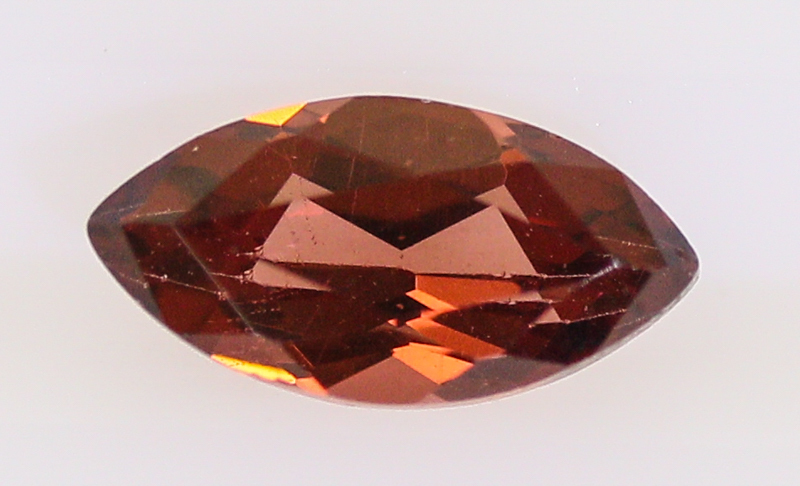 Faceted stones come in a variety of shapes, the most common being round. There are different styles in which a stone is faceted, terms like brilliant, step cut, and checkerboard are some of the more popular faceting styles seen in today’s market. Any shape beyond the shape of round is considered a “fancy cut” stone. 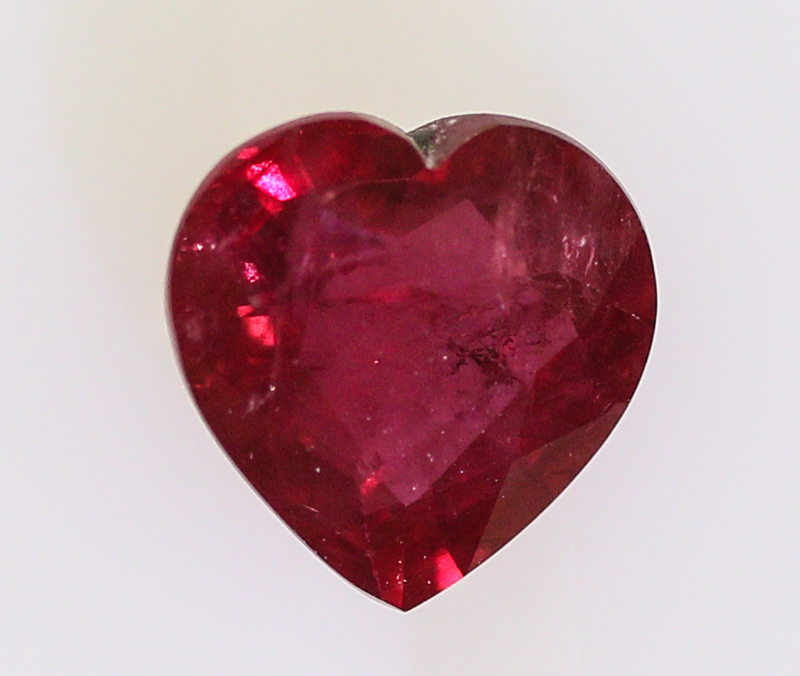 Some of the more common fancy cut stones include oval, pear, princess, emerald cut, marquise, antique, heart, trillion, and baguette. Phenomena: Being able to observe optical effects in a stone indicates that it displays phenomena. An optical effect will appear to float inside or outside the gems body color, this phenomena is caused by how the gemstones structure interacts with light. These types of special effects will appear to the observer’s eye as a shimmer, glow, flash, change of color, or even as a moving band of light. Knowing what type of phenomena is occurring can help considerably narrow your possibilities in identification. Common phenomenal effects include asterism, color change, play of color, chatoyancy, and orient. Phenomenal stones are very appealing in that they add such a rare beauty and captivating effect to a stones overall appearance. Luster: Luster is described by the quality and intensity of a materials surface in reflective light. 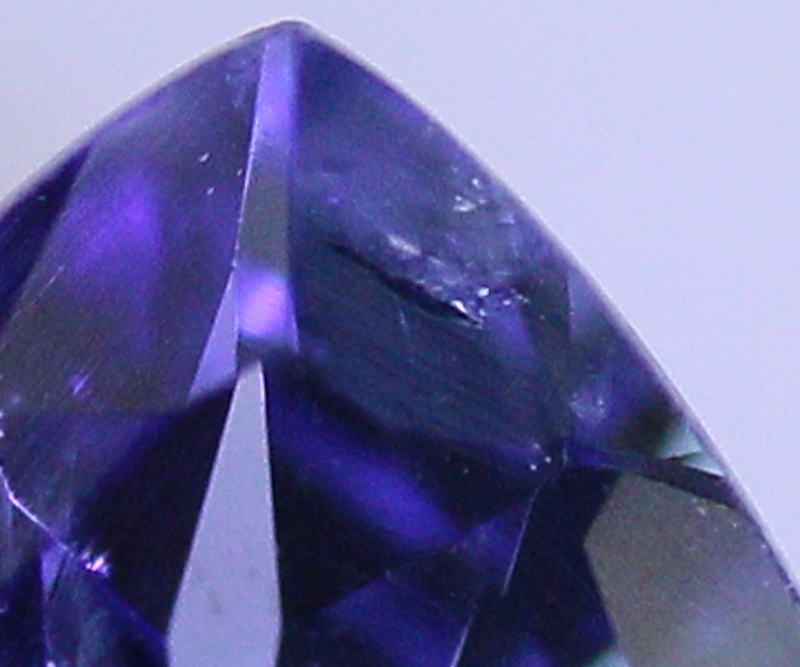 When judging luster reflect light off of the area of the stone that has the best polish. Levels of luster range from Adamantine and Metallic to Dull and Waxy. Dispersion: The separation of white light into spectral colors is called dispersion; the visible display of this is called fire. When separating diamond from its simulants, detecting dispersion is an important ability to have. Using a penlight or other source of concentrated light illuminate the stone and examine the amount of fire and determine if it is weak, moderate, strong, or extreme. The strength of a stones fire will help determine the possibilities of what your stone may be. Heft: Heft refers to the weight of a stone compared to its size. By holding a stone in your hand and judging its heft will help indicate if the stone will have a low or a high specific gravity. Stones made of amber or plastic tend to have a low heft. Assembled: Assembled stones are made up of two or more materials which are usually cemented or fused together. Assembled stones are referred to as doublets and triplets and can be made of both natural and synthetic counterparts. The stones girdle is the first place to check when testing for an assembled stone. To detect for indications of being an assembled stone use a penlight and magnification, look for characteristics such as luster differences between the different materials, the red ring effect, or separation planes of colored or colorless cement. The red ring effect refers to when a stone is turned faced down and a red ring along the outer part of the stone is visible when light is directed onto the stone. 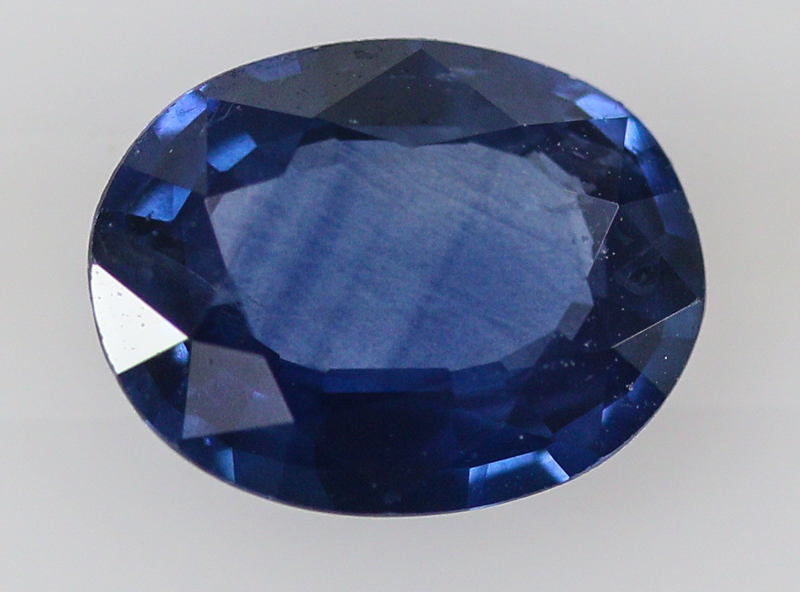 The red ring effect is a common way to identify a large majority of doublet assembled gemstones. 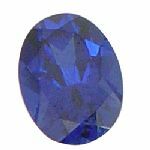 Accurately identifying a gemstone is a vital skill to have if you are buying or selling colored gemstones. Each mineral species of stones hold their own unique optical and physical properties, scientific data is needed to prove these properties in order to make a positive identification. In order to come up with the stones optical and physical properties and determine which mineral species they belong to, there are several gemological tests that need to be performed. Becoming familiar with how to use the testing equipment is a key for success in gem identification. By keeping your stone free of lint and oils will provide more accurate results during testing, a lint free cloth should be used to clean the stone between each test. Some of the most important test to conduct will be using the microscope and loupe, refractometer for refractive index, Chelsea filter, and a polariscope. Microscope: When using a microscope it is important to make sure your stone is clean. Using a gem cloth to clean the stone before each test is important to remember since oils and dirt from our own fingers could easily cause a mistaken identity. It takes time to become familiar with a microscopes many features. When using a microscope there are several lighting techniques like darkfield or brightfield illumination, diffused, polarized, and reflected lighting; different types of lighting are used in order to find particular clarity characteristics. 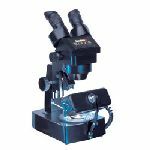 The microscope itself has several adjusting components like the baffle and iris, focus control knob, and left and right ocular, these parts can be adjusted to fit your vision and to focus on the part of the stone you are viewing. One of the many benefits a microscope will offer is being able to detect and view the clarity characteristics also known as inclusions. These inclusions are the key to separating genuine from synthetic gemstones. Inclusions can be unique to one mineral species giving us the key to their identification. Clarity characteristics also help detect treatments and enhancements, and sometimes even the origin of the stone. Some of the common inclusions seen in genuine stones include clouds and fingerprints, needles, crystals, and silk. Loupe: Using a 10 power loupe is a requirement in stone identification, one with a triplet lens will make it easier to use the loupe. Get yourself acquainted with using a loupe and a tweezers at the same time, it is important to be able to quickly pick up a stone and view it under a loupe. A loupe will help in finding important information about the stone such as doubling, surface characteristics, and inclusions. Refractometer: Refractive index refers to the measured amount of changes in the angle and speed of light as it passes through a gem. By using a pin tip size amount of refractive index fluid and a refractometer is how you obtain this measurement. Once the RI is found it should be compared to a gem property chart in order to determine the possible gem species the stone may be. Polariscope: A polariscope is used in order to determine if a stone is singly refractive, doubly refractive or an aggregate. The polariscope will also determine the optic figure of a stone, if a stone has one optic axis it will be uniaxial and if it has two optic axis’ it would be considered biaxial. In a double refractive stone the optic axis refers to the direction in which light slows down and is refracted. Only transparent to translucent type stones can be accurately tested by using a polariscope. Dichroscope: Using a dichroscope on double refractive stones will determine if the gem displays pleochroic colors. Gems can display separate colors within a single stone, the colors shown are caused by the way light travels through the crystal structure and interacts with possible trace elements within the stone; this effect is called pleochroism. There are two types of pleochroism; when two different body colors are shown it is dichroism and when three different body colors are shown it is called trichroism. 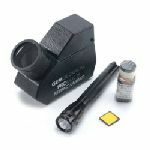 A dichroscope is an essential tool since it can be used on both loose and mounted semitransparent to translucent stones. In order to use the dichroscope properly the light source should be white light and able to focus directly into the dichroscope. Ultra Violet Light Source: A gems reaction to UV (Ultra Violet) light will determine if it contains fluorescence or phosphorescence. In some cases the strength and the color of the fluorescence will be a great indicator of the stone species or if it’s genuine or synthetic material. UV light sources are available in smaller and more affordable hand held models or in larger type models that have the option of controlling the amount of energy with short wave and long wave settings. Keep stones clean and free of lint and oils by using a lint free gem cloth, the presence of these can affect the stones fluorescence. Spectroscope: Each gem has its own distinct way of how it absorbs light; a spectroscope is used to identify each stones unique spectrum pattern. A stones chemical composition and crystal structure will determine what part of visible light it will absorb influencing the color of the stone. Absorption spectrums usually consist of dark lines or bands and dark areas referred to as a cutoff. The placement of these lines and bands on the scale which represents the range of visible light will help determine the mineral species the stone belongs to. Chelsea Filter / Color Filter: Transition elements like chromium and cobalt can cause some parts of visible light to be absorbed determining the color of the stone. A color filter or also known as a Chelsea filter is a tool used to detect stones containing these transitional elements. The Chelsea filter is extremely helpful when separating several types of synthetic stones from their natural counterparts. Heavy Liquids: Each stone has its own unique specific gravity, which is the ratio of the weight of the stone compared to the weight of an equal volume of water. Heavy liquids are liquids that have a known specific gravity, they typically are available in sets of five to six separate liquids each with their own SG (specific gravity) usually ranging from 2.57 to 3.32. If a stone is placed in heavy liquid and it floats, the SG of the stone should be close or lower then the liquid that it is placed in. If a stone sinks in the heavy liquids it is an indicator that the stone’s SG is higher then the liquid it was placed in. Make sure to follow all safety instructions when using heavy liquids since they can be hazardous and could cause harm if not used properly. Diamond Tester: Each species of stones conducts heat at different rates, this is called thermal conductivity. Using a diamond tester will help determine the different rates of thermal conductivity in diamonds and most of its simulants. 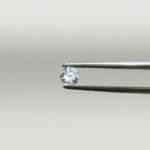 Stones like moissanite require using a tester specifically made for separating diamond from moissanite, these testers measure electrical conductivity. 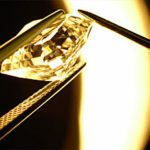 Diamonds conduct heat at a higher rate compared to many of its simulants, a tester is able to detect the different rates at which heat is being conducted therefore helping to identify a simulant from a genuine diamond. When using a diamond tester there are several things to keep in mind in order to get accurate results, make sure to closely follow a diamond testers instructions that are included with the unit. Factors that could affect your results include uncleaned stones, a slight touch of the metal it is mounted in, not enough time between each test, so make sure to learn the procedure and practice with already identified stones. Reference Guide: There are several publications that act as great aides in the gem identification process. The 3rd edition of “Gem Identification Made Easy” is a great book to keep on hand. This book includes Refractive Index and Specific Gravity tables, step by step instructions on using gemological tools, helpful hints in spotting synthetics, and much more. In order to avoid costly mistakes a reference book is a great tool to have. There are additional test that can be done to separate and identify synthetic and genuine gemstones. A magnet test can be done to help narrow the possibilities of your stone since only certain stones contain iron making them attracted to magnetism. There are also tests that are considered destructive to the material you are testing. The hardness test would be considered a destructive test. By using a tool called a hardness point tester you are able to scratch the surface of the gemstone to determine its hardness in comparison to the Mohs harness scale. A hot point can be used to test for stones that you are suspicious of the possibility of it being impregnated with plastic, wax, or even oils. When a hot point is touched on the surface the impregnated material will appear to sweat out and be visible, this test is considered a destructive test. Although destructive testing will help in identifying some stones it is not recommended on transparent faceted gemstones and should only be used with the consent of the stones owner. Synthetic and imitation gems flood the market place. They have a lot of positive benefits like affordability, striking color, and an ample supply. Unfortunately due to advancements in technology telling genuine apart from synthetic will require careful examination. Separating genuine from synthetic stones can be a hard task; luckily the characteristics they possess are our keys to their identification. When buying or selling gemstones, it is crucial to be able to detect whether the material you have is genuine or synthetic stones. 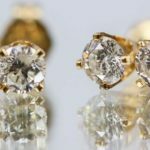 A mistaken identity of a synthetic stone could be a costly mistake and could diminish your reputation. Synthetic: A synthetic stone is created by man and has basically the same crystal structure, chemical composition, and properties as its natural counterpart. Imitation: A material that looks like a natural gem but is made of a completely different material of either unnatural or natural product. Most processes used to create synthetic gems tend to create distinctive features within the gemstone that help separate them from being a genuine stone. It is important to become familiar with the clarity characteristics common in synthetic stones. Keep yourself up to date with the constantly evolving methods of laboratory creating gemstones. Magnification will be the key tool in finding these inclusions in order to positively identify a stone as being genuine or synthetic. The two types of processes used to grow synthetic stones are called the melt process and the solution process. Melt processes are done by melting chemical mixtures then having the melt recrystallized, these processes are called skull melt, pulling, and the more common of flame fusion. The solution processes tends to be more expensive to create and takes a longer time to manufacture, this process is done by growing the crystal from a chemical mixture that is controlled by pressure and high temperatures creating gems that closely resemble their natural counterpart. Common names for the stones created by a solution process include flux grown, hydrothermal growth, and seed crystal growth. Solution process inclusions will usually be harder to spot since they can look very similar to a natural inclusion. Curved Growth: Unlike the angular growth seen in natural corundum a flame fusion created stone will create what is called curved striae. Curved striae is curved growth patterns seen within the stone, this type of growth is easier to view when using diffused lighting. 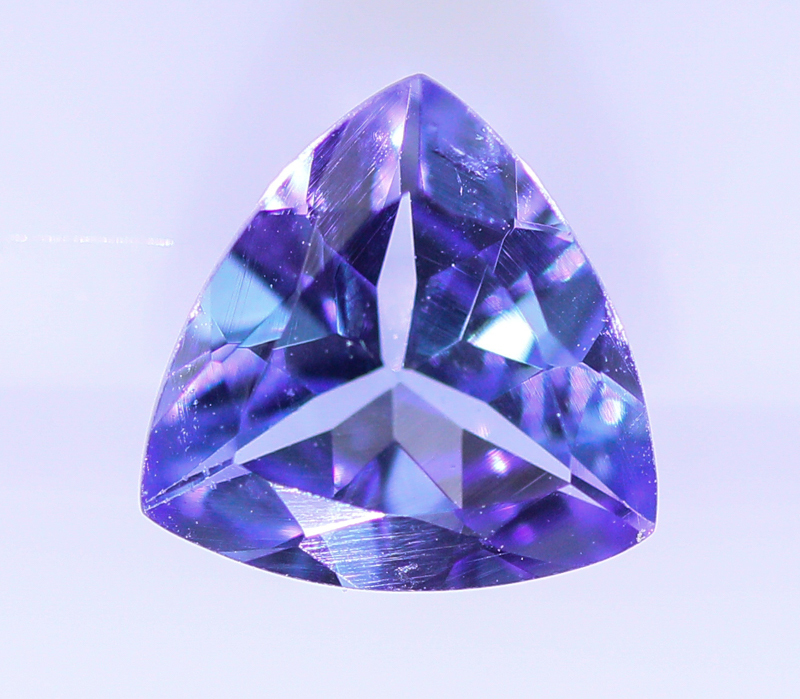 Some synthetic stones like a Synthetic Star Corundum will have eye visible curved growth pattern making it very easy to identify, be careful not to mistake polishing marks on the surface for curved growth within the gemstone. Flux: Flux inclusions are seen in synthetic stones that are created by using the flux growth process. These type of inclusions come in many shapes and forms and range from very coarse with high relief to colorless and possibly having shapes that resemble those of genuine inclusions. Rod shape and liquid like shapes inclusions in colors of white, yellow, or even brown are common to see within a flux grown stone. Gas Bubbles: Be careful when using a gas bubble as a key indicator for identifying synthetic stone. Depending on the nature of the gas bubble will indicate its possibilities of being from a melt process synthetic. Gas bubbles found in synthetic gemstones tend to be round in shape and may come in large strings or groups of multiple gas bubbles. Usually if a gas bubble is found within a 2 or 3 phase inclusion it would be considered a genuine stone. If a gas bubble is found alone it typically would indicate synthetic, but be careful since the natural glass moldavite will display gas bubble inclusions that are perfectly round and found alone without other inclusions. Platelets: Synthetics manufactured by using solution type processes will leave behind remnants of the containers they are grown in called crucibles. The material seen in a stone if referred to as a platelet, usually made of platinum or gold. Platelets tend to resemble metallic triangular or hexagonal shapes. Fingerprint Like Inclusion: Flux grown synthetics will show inclusions that resemble a fingerprint pattern, like that ones found in natural stones. These fingerprint like inclusions are made up of flux, they tend to stand out in high relief of a white or yellow color but can sometimes be colorless. A flux fingerprint will usually be coarser and less elaborate then a natural fingerprint. 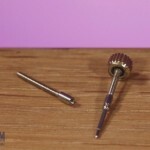 Nailhead Spicule: This type of inclusion resembles a rod like shape with a pointed end resembling the head of a nail. In a synthetic stone there will usually be more then one found and they will all point in the same direction. Nailhead spicules are commonly found in hydrothermal grown synthetic Emeralds. Chevron Growth: Growth patterns found in hydrothermal type synthetic stones can display a “V” shaped pattern that is referred to as Chevron Growth. This inclusion tends to be found in a repeated pattern of chevron shape growth that all point in the same direction. Wispy Veil: This type of inclusion tends to stand out in high relief and have a ribbon like wispy veil shape to them. 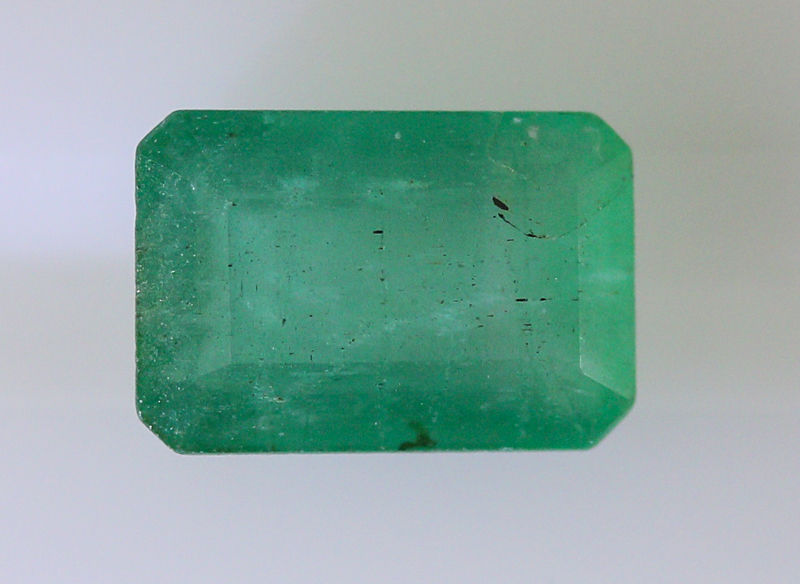 Wispy veil inclusions are commonly seen in flux grown synthetic Emeralds. Columnar Structure: Columnar structure is a unique feature found in synthetic opal. When viewed under magnification in a profile angle it will appear as spherical columns, and when viewed from the top in a bird’s eye angle it will appear in a snakeskin like pattern. When separating natural diamond from its many simulants it will require close attention to details beyond inclusions. Not all man made synthetic diamonds will contain inclusions like the metallic inclusions found in flux grown, yet there is still ways to separate them without just the use of magnification. Body color, growth structure, fluorescence, heft, fire, and pavilion flash are the most helpful indications for separating genuine from synthetic diamond; also the aide of a diamond tester is strongly recommended. Orange Peel Effect: The orange peel effect refers to the surface having an uneven and pitted appearing surface, commonly seen on the reflected surface of glass and plastic imitations. Swirl Marks / Flow Lines: Swirl marks, also referred to as flow lines, come from when an imitation stone is being made and the ingredients have not been mixed enough. They look similar to curved striae but will usually appear more coarse and less regular then the appearance of a synthetics curved color banding. Gas Bubbles: Gas bubbles are commonly found in glass imitation stones. 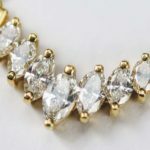 They take on a more rounded and larger shape then the ones found in genuine and synthetic stones. When a gas bubble is found near an edge or tip of a swirl mark it would be a large indicator that the stone is an imitation. When gas bubbles form in large groups within one area of the stone it can easily be mistaken for a fingerprint inclusion, so make sure to look closely at the size and shape of the inclusion. Tooth Test: When separating a genuine cultured pearl from an imitation there is a test called the “tooth test” that is very helpful. Usually when a genuine cultured pearl is rubbed across the front edge of teeth it will have a gritty feel, an imitation will feel smooth. Heft: We can use our own personal judgment of how heavy a stone feels in our hand, by doing this we are judging its heft. 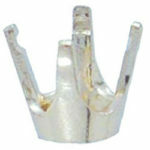 Plastic imitations will tend to feel much lighter in comparison to their natural counterparts. Whether you’re a small collector or small business, you can benefit and be more confident in buying or selling gemstones by building your knowledge of gemstone identification. This is especially important right now, because spending is down in nearly every industry and competition for business is at a *premium*. The knowledge and tools to identify gemstones and synthetics is the backbone of a successful gem business and the ability to quickly make decisions based on the best information is critical. You can become a well-known expert within your industry, by exercising the power of knowledge and hard work. When you have that kind of status, it becomes easy to get appointments and close sales. HAPPINESS is what you will feel when you achieve your goal. The credentials used for Gemologist (G.G) are created by the Gemological Institution of America where you can find more information on gemstone identification. I hope that this guide will be of help to you in your needs of identifying and separating gemstones. If you have any comments or questions about the tools used to aid in gem identification, please contact me via email. Any Ideas? The side has like a lined wood grain kinda all the way around the edges. 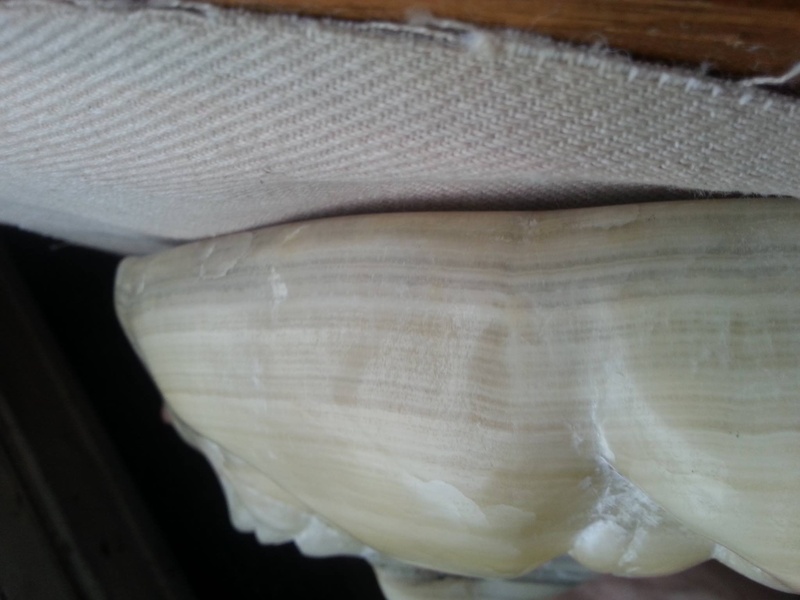 I was told it could be Jade Ivory or Quartz but I want to know a specific type if it is even any of those…. Learning gemology is a worthwhile endeavor. However, don’t make an expensive decision about a gemstone based on limited knowledge. Whether you’re a gemology student or a gemstone buyer, you should always be cautious about whom you trust for gem identification. Ted that stone is Onyx. 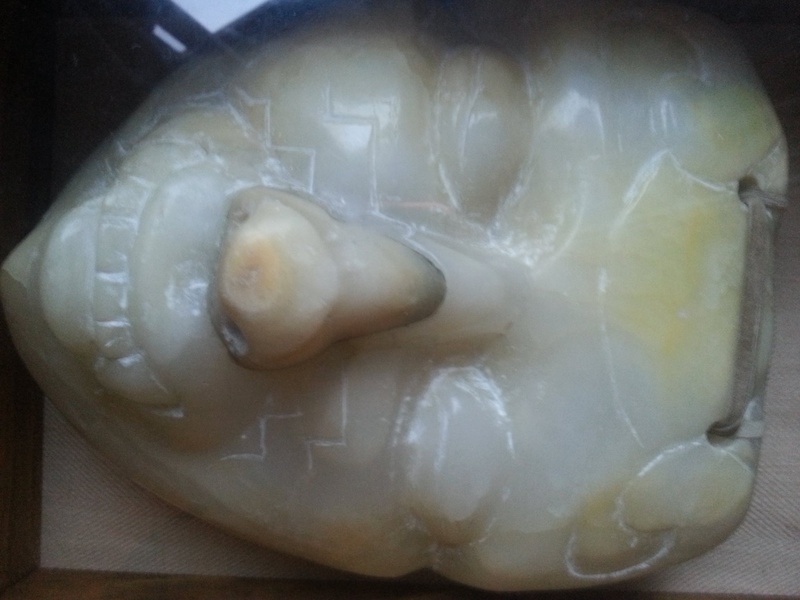 Common stone used in carved pieces.